Home › Valley of flowers › Fixed departures to Valley of Flowers 2013 announced. Fixed departures to Valley of Flowers 2013 announced. Fixed departures to Valley of Flowers for the year 2013 are announced. We will have our fixed departures from Haridwar on following dates. All the trips will be for six days and five nights except for 5th departure on July 21. This will be of seven days and six nights. This will be an extended tour by a day. We will be going to Valley of Flowers for two days instead of just one day. Last year also we had an extended tour and that was a great one. I have been going to Valley of Flowers since 20o4. I personally accompany all my groups at least on the day we trek to Valley of Flowers from Ghangaria. Last year we organized trips to Valley of Flowers and following were the dates when we started our trip from Haridwar. 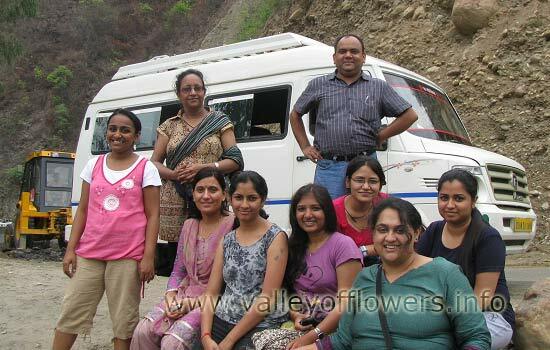 Following were the tours to Valley of Flowers conducted in 2012. Second :- 29th July to 3rd August. Third :- 10th August to 15th August. Fourth :- 19th August to 24th August. Fifth :- 2nd September to 7th September. Sixth :- 16th September to 21st September. Our 9th July, 2012 group on the way from Haridwar to Govindghat. We (myself with my wife) are interested in the Valley of Flowers in the end of August. 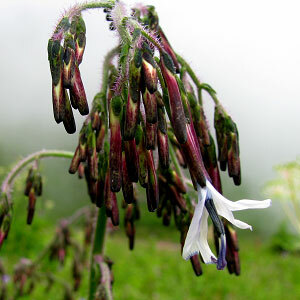 With the circumstances present now at Uttarakhand, with there be any departures to Valley of Flowers? You can read this post on latest update for Valley of Flowers trek, 2013 for more details and keep following my blog for latest information. As of now the fixed departures are cancelled. Hope we have some departures late this season. We are around 10 ayurveda doctors visiting Haridwar from 25th may to 3rd june…we would be interested in visiting Valley of Flowers after 3rd june…can we get any help plz..? I am there to help everyone who wants to go to Valley of Flowers. I will be pleased to help you in all possible manners. But June will not be a good time to go to Valley of Flowers as there will be very less flowers. Kindly visit our best time to visit Valley of Flowers page for more details. You can talk to me on +91 9991142759 or fill in your details at our contact us form and I will contact you. I am really interested to go Valley of Flowers.I have 2 children, one is 12 years old and second is 7 years old. with child this is possible or what do you charge per person? Kindly fill in your details on the contact us form and all the questions regarding cost etc will be answered in a system generated mail. Yes both of your child can be bought to Valley of Flowers. 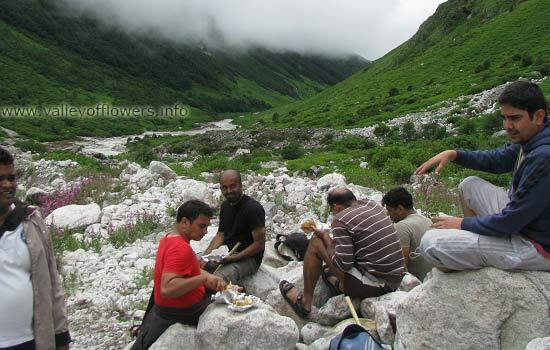 You can check this page for more details about minimum age to visit Valley of Flowers.